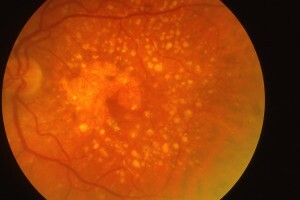 Age related macular degeneration is one of the leading causes of visual loss in older individuals. The retina is a fine layer of tissue that is responsible for allowing us to see. The simplest way to think of the retina is to think of it like wallpaper. In a room of your house the wallpaper lines the inside wall of your room. 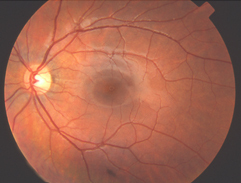 Likewise the retina lines the inside wall of the eye as a thin film. The macula would be an area of the retina at the back of the eye. If there is any disturbance of the retina or macula area then vision is affected. The macula is an area of the retina that is responsible for fine vision. 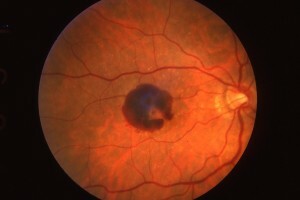 In this condition the retina begins to show its age by thinning and wearing out. 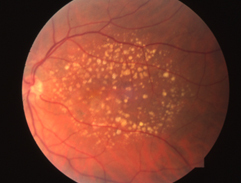 Often small yellow/white deposits are seen in the macular area and represent debris and waste products that have not been removed by the body. Around these deposits or drusen, as they are named, the retina degenerates. 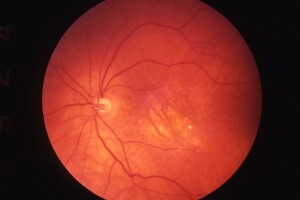 In the early stages this may not cause any visual symptoms but as time progresses the central vision can deteriorate. Close vision is usually affected early, whereas distance vision may be preserved longer. 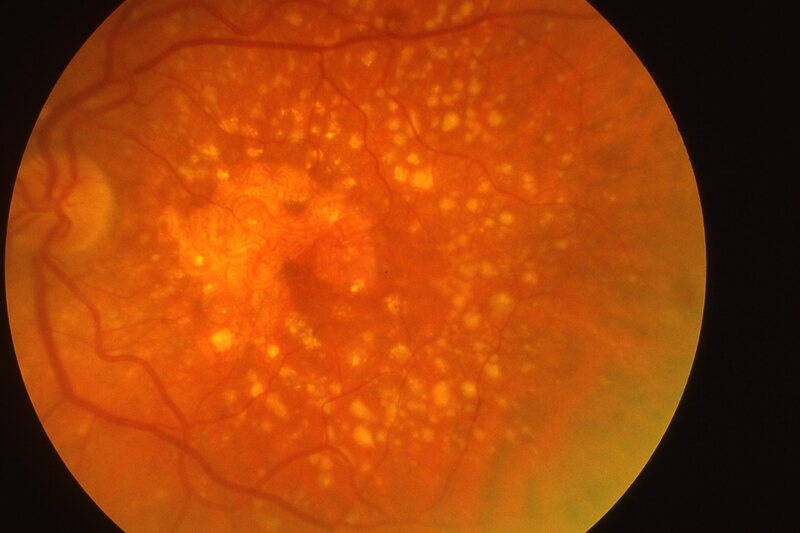 In wet age related macular degeneration very small blood vessels can grow under the retina for reasons we do not fully understand. These small blood vessels distort the macular area and cause distortion of vision. This distortion is usually in the form of straight lines appearing bent or wavy and this usually comes on suddenly. These small blood vessels can leak fluid or blood under the macula that causes further distortion of the macula and hence further distortion of vision and a reduction in the level of vision. One can sometimes get small blister-like areas in the macula that are full of fluid or blood similar to the bubbles one can get with wallpaper (one must remember that it is air present under wallpaper and not fluid). If left untreated the central area of the retina responsible for fine vision can be permanently damaged. Any treatment required must be received as soon as possible. The longer the disease process continues without treatment, then there is less likelihood of retaining good vision.